Got a chocolate lover in your life? 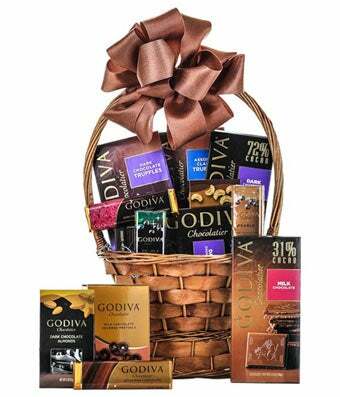 Make them dream and live in Godiva with this basket full of all things Godiva chocolate !! Also included is a Lindt chocolate bunny to make the delivery more festive and delicious!